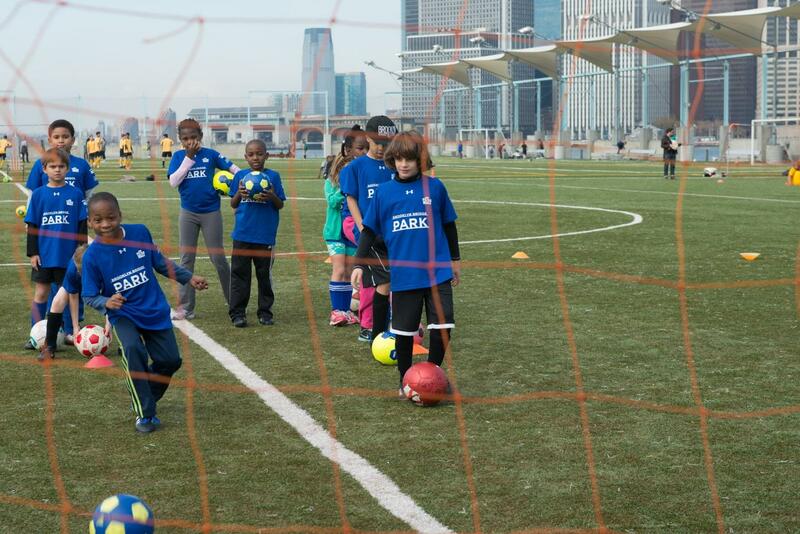 Get a kick out of the sports fields, playgrounds and bike paths that make Pier 5 the ultimate hub for active park goers. After working up an appetite, visit Picnic Peninsula for a barbecue with family and friends. Not in the mood to break a sweat? Not to worry: cheer on your team from beneath the spectator benches. 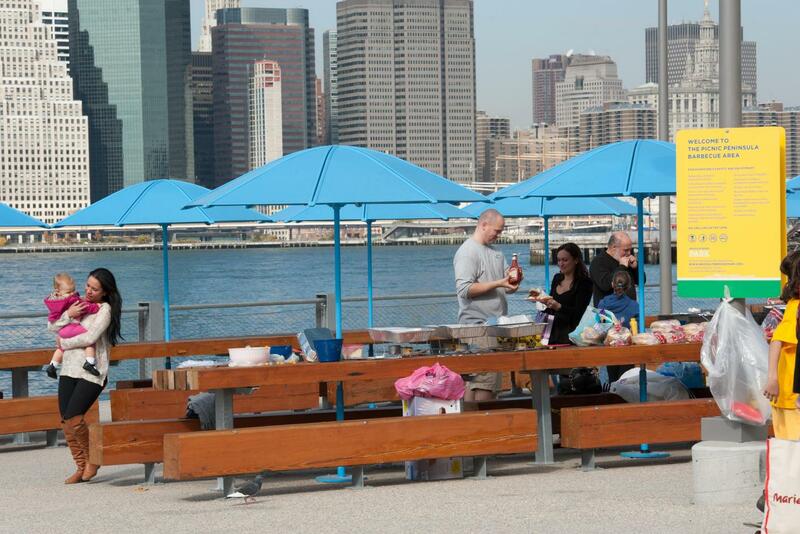 Or plan a picnic on our 30-foot wide promenade for a meal with magnificent views of lower Manhattan, Governors Island, and New York Harbor. 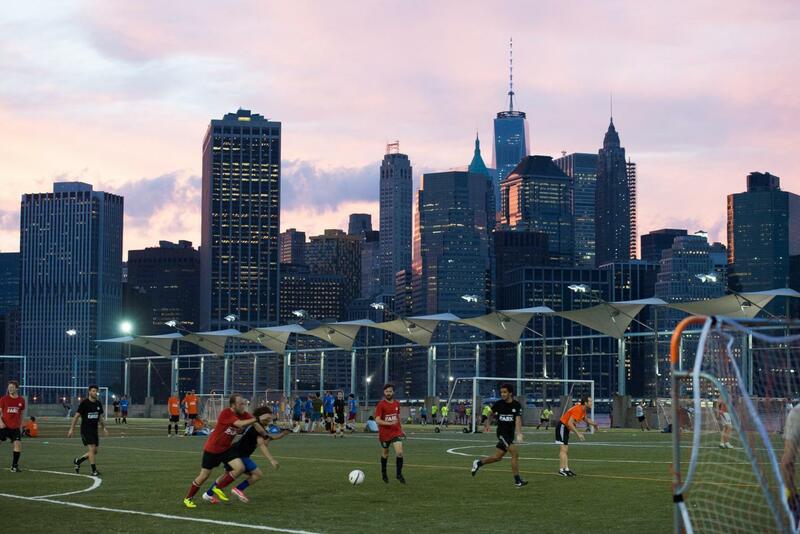 Pier 5 is dedicated to active recreation and features playing fields capable of configurations for soccer, lacrosse, rugby, flag football and ultimate Frisbee. Players and spectators can watch the game from the bleachers and benches situated along the sidelines. If you are interested in obtaining a permit for your league or team, you may apply for one by clicking here. After working up an appetite, head over to Picnic Peninsula for a barbecue on one of our hibachi-style grills. Picnic Peninsula is the largest of the park’s picnic areas and features salvaged wood picnic tables and weather resistant umbrellas. Still hungry? 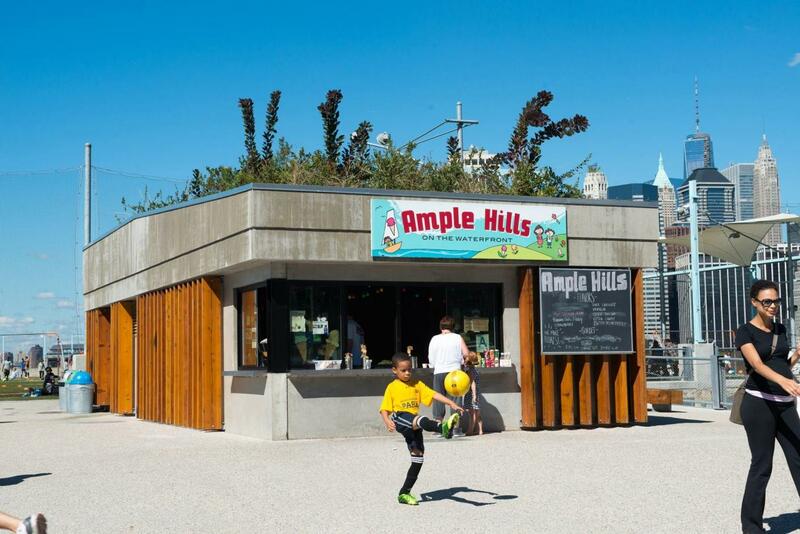 Stop by Ample Hills Creamery for dessert and try one of their famous ice cream flavors. 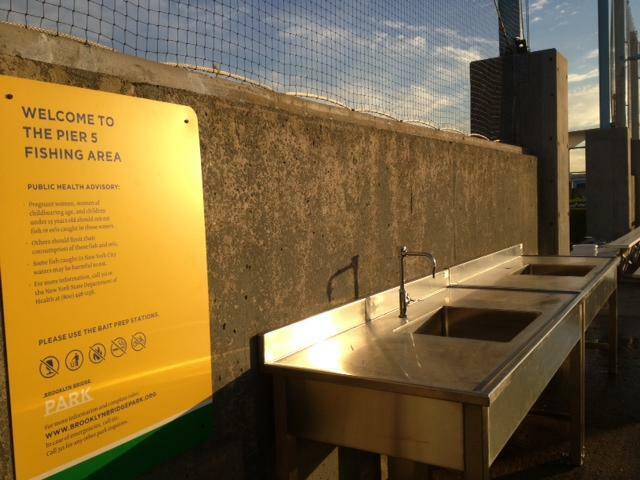 Don’t forget to bring the kids to the play areas located adjacent to Picnic Peninsula. These two playgrounds feature equipment for older and younger children. 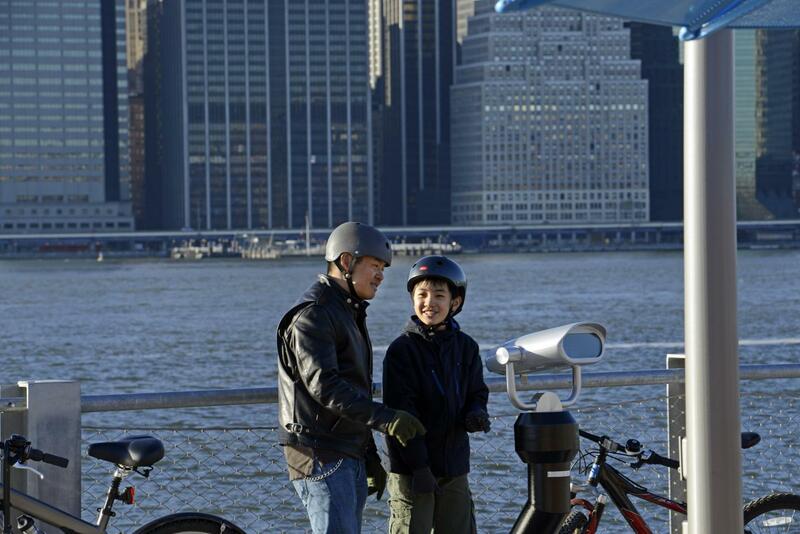 The perimeter of the Pier includes a 30-foot wide promenade that offers magnificent views of lower Manhattan, Governors Island, and the New York Harbor. The promenade features three view finders, one of which is ADA accessible. 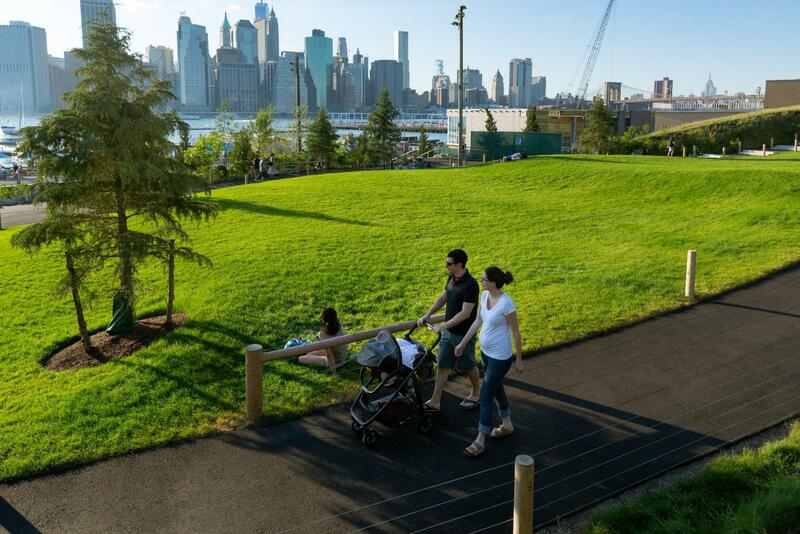 Completed in 2017, the Pier 5 uplands expand the Park’s green space east of the Picnic Peninsula, adding sloped and terraced lawns, a grove with a flexible seating area, and a sound attenuating berm to reduce traffic noise. 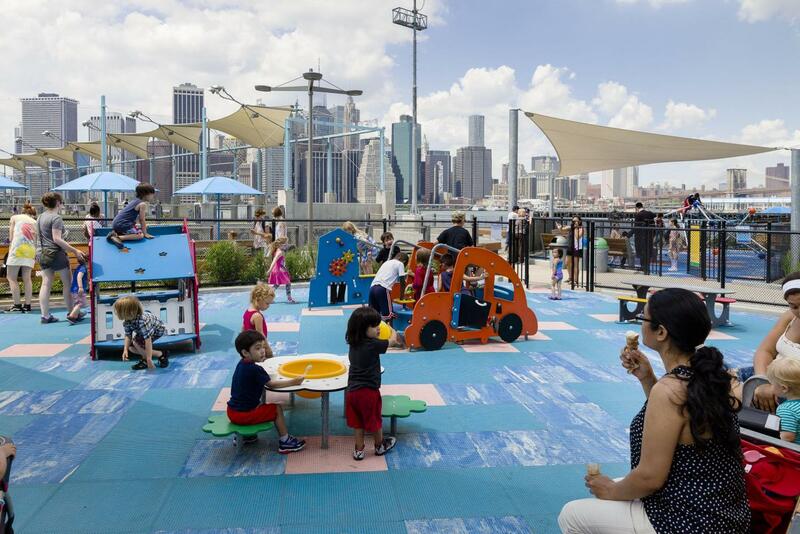 The underlying design principal is to provide a restful counterpoint to the activities at the adjacent Pier 5 sports fields and Picnic Peninsula. 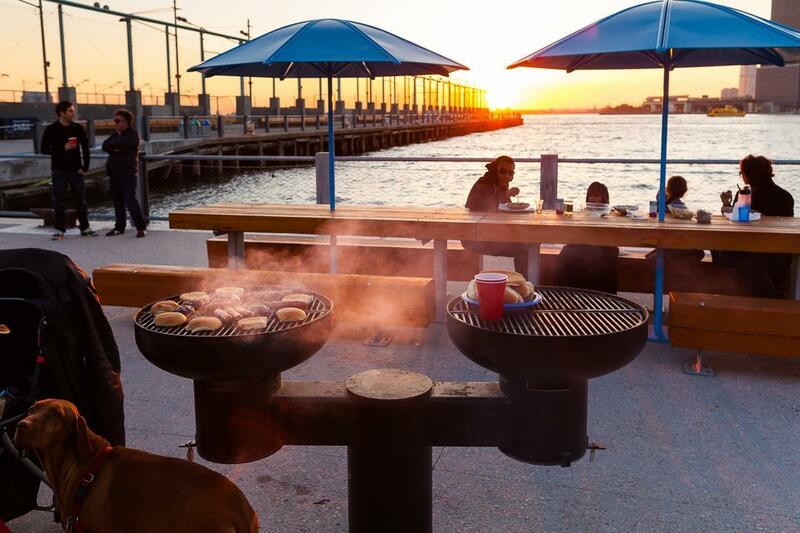 ONE°15 Brooklyn Marina offers unparalleled water access to the local Brooklyn community, New Yorkers, and boating enthusiasts from around the globe. Located in the East River north of Pier 5, the Marina features an exceptional community program as well as seasonal docking facilities in the calmest marina basin in New York Harbor.